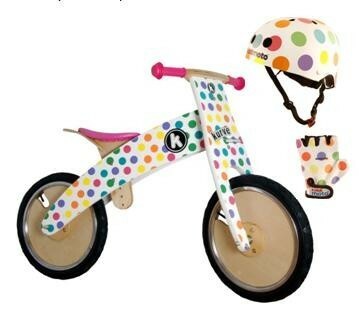 With the introduction of the Middi by Kiddimoto children can have years of pleasure from their balance bike! The Middi is made for children aged 6-12 years. 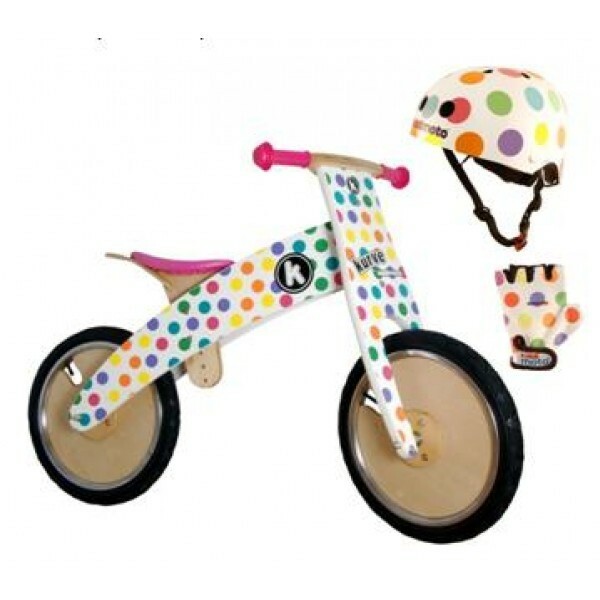 The frame is made of durable birch laminate, and bicycle has air-filled tires. The balance bike is intended for children with balance and coordination problems but also for children with disabilities that makes using a pedal bike difficult. & Nbsp; The saddle is adjustable in height, to give a better comfort and to grow with the rider. The Middi comes with bright helmet and gloves! The delivery time can sometimes be up to 10 working days, depending on the stock. Charlie has autism, learning problems and cerebral palsy. He is a cheerful, friendly young man who is always ready to help. When Charlie became 2 he got a balance bike that has become big - but he still drives it (with his knees on chin-height)! That the balance bike is still in great condition is an indication of how well these running bikes are made. 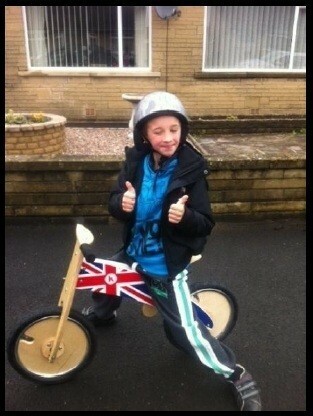 When we visited the NEC Bike Show in November 2011, we met Simon van Kiddimoto and we asked him if it was possible to make a larger balance bike for children with coordination and balance problems. 7 months later the bike was made and our first & nbsp; impression was 'WOW who is beautiful!' Charlie was super excited and when he saw him he jumped a hole in the air. He has driven almost every day during the past month and even takes him to his bedroom. When we are on the road together, we get positive comments, especially from Charlie's friends at the special school. In my opinion, it has made a big difference to Charlie's balance, but also to stretching his 'cerebral palsy leg' (as he himself calls it). The bike is very well made, robust and solid and there is plenty of space to make it as you want. Because Charlie is a fan of motorcycle racer Rossi we have some stickers with Rossi's name pasted. The bike has a height-adjustable saddle so that it can grow with it. Fantastic! Charlie can now race around at a decent pace to raise his feet and let the balance bike roll smoothly. It would be great if there were support for his feet.